WILL TIGER ROAR AGAIN IN 2018? The game of golf is blessed right now with tremendous talent across the board. It seems like in any given week, anyone can win out on Tour, and there are some incredible players like Dustin Johnson, Jordan Spieth, Justin Thomas, Rory McIlroy, and Jason Day. But as I mentioned to some other people recently, no one is taking off work, calling in sick, or searching for a television to watch in the middle of the day to see those players. Only one name brings people out of their seats and taking a sick day, and that is Tiger Woods. It’s very apparent, as evidenced by the ratings at the Hero World Challenge in December, that when Tiger tees it up the whole world wants to see what happens. While it’s also fair to say that some of that interest is to simply see whether he can finish a tournament on the healthy side or not shoot an ugly score as he did last year, a lot of that interest is genuine on the part of the golfing population. When you have been talked about as arguably the greatest golfer in history, and called a generational talent, people don’t forget about you easily. So it goes for Tiger Woods. But now that he’s finished his first tournament, let me share a few takeaways about what I saw, and what I think we will see as he prepares to tee it up again at Riviera and Torrey Pines in the coming month on the PGA Tour. First off, it was hard not to notice Tiger the PERSON. It’s been well documented and shown that Tiger could come off as a bit cold and robotic in interviews, and at times arrogant. In fairness, none of us will ever know what it’s like to live a life under the microscope like he has for so long, only to have it come crumbling down in the public eye. But now, as he has dealt with so many injuries and a personal turmoil, he seems very much at ease and at peace. It was enjoyable to watch him let his guard down a bit, and give honest answers to questions and be thoughtful about those answers. One can imagine this will only benefit his mindset on the golf course going forward, and may help him find the mental game that used to be so bulletproof. At the height of his powers, no one intimidated the competition like Tiger Woods. On the game side, I was really impressed with his golf swing and how he drove the ball. Yes, he seems to be driving it very long again, but I haven’t seen him have so much command of the driver in a long time. We have so many images of him over the last few years, lashing away as the ball sails off the tee in both directions and then he grabs his back. It was cool to see Tiger swing freely, and even give a few club twirls after a particularly good drive. The question now is whether he can take that driver to a harder driving course like Riviera or Shinnecock Hills, site of the 2018 United States Open. That will be the ultimate test of “owning” his swing and his mental fortitude. I was also happy to see his iron game so solid. 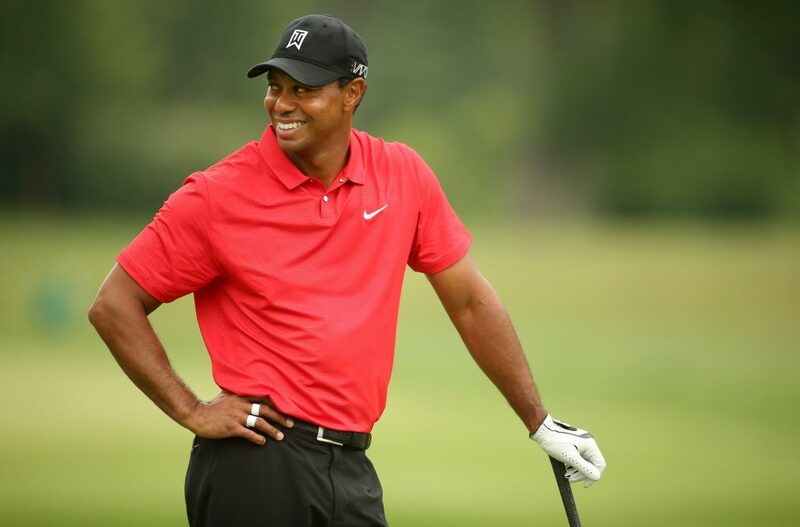 Over the course of golf history, few players make the sound at impact like Tiger Woods. If you ever get a chance to watch him at the range, listen closely. You will hear a sound like a gun going off as the ball is propelled downrange with control and distance. As he struggled with his game through injuries and rust, Tiger lost some of that, and he also lost maybe his biggest asset: distance control. When he was at his best, no one controlled the height and distance of their irons like Tiger Woods. In the Hero World Challenge, I saw a lot of that old Tiger magic. 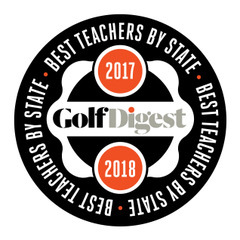 As with the driver, it will be a bigger challenge at courses with harder greens and more tucked pin positions, which require a player to be on the right level or risk having an almost impossible two-putt. If he can continue to have the combination of strike, distance control, and proper trajectory, Tiger will be tough to beat. Finally, the much talked about short game. When we last saw him, it was tough to watch at times. A player who in his prime, could get the ball in the hole from anywhere around the green under the most stressful and difficult conditions was reduced to hitting shots that looked like a 20 handicap golfer around the green. The world wondered if Tiger has succumbed to the yips, a dreadful condition that effects so many golfers and gives them fear of short shots and putts. But while he still hit a few suspect shots in the Bahamas, there was real cause for optimism in watching Tiger. He was also hitting difficult wedge shots and bunker shots with some confidence, and seemed to have a fix for the bad shots and be able to self-correct when needed. As an instructor, it’s so important that my students can fix a pattern of bad shots, so it was encouraging to see him be able to execute on the next similar shot and not get into a bad pattern. In my opinion, continued practice and tournament play will strengthen the short game even more, as it no longer looks to be a technical problem, but one of repetitions. So will Tiger roar again and enter the winner circle in 2018? My opinion is yes! While he may not win a Major, I think Tiger is poised to win his 80th career tournament, and the confidence he will gain from that win will be energizing to him going forward. A confident and happy Tiger Woods will be a real handful on the golf course for the young players on Tour, and you can bet one thing: the golf world will be on the edge of their seats watching.